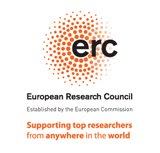 Projet de l’ERC (European Research Council) porté par Gabriel Catren (Principal Investigator). This research proposal addresses from a philosophical perspective one of the most important unsolved problem of theoretical physics, namely the formulation of a quantum theory of gravity. Quantum mechanics and Einstein’s theory of gravity—i.e. general relativity—are the two main revolutions of 20th century physics. These theories have radically challenged and modified our conceptions about time, space, motion, matter and causality. However, the formulation of an unanimously accepted and experimentally tested quantum theory of gravity capable of harmonizing these new insights in a consistent synthesis remains—since 1930s—an open problem. The state-of-the-art in the field of quantum gravity includes several more-or-less developed alternative approaches such as canonical quantum gravity—in both the geometrodynamical and loop versions—, superstring theory, non-commutative geometry, causal sets, etc. The absence of an experimental guidance for the quantization of gravity, the conceptual nature of some of the obstructions encountered by the different research programs, and the philosophical origin and scope of the problems to which both general relativity and quantum mechanics provided a provisional solution explain why philosophy can play a fundamental role in helping to accomplish this “unfinished revolution” (Rovelli). Philosophy of quantum gravity is a recently emerging field of research. The project of addressing an ongoing research program such as quantum gravity from a philosophical perspective relies on the conviction that philosophical inquiry—besides trying to provide an a posteriori clarification or interpretation of well-tested physical theories—can also play an essential role in the construction of new theories. In the particular case of quantum gravity, this belief is strengthened by the fact that important problems encountered in the different research programs are of conceptual nature. Moreover, one of the main difficulties of the currying research in quantum gravity is that—due to the scales at which quantum gravity is expected to be relevant—there is no experimental basis to guide the research for the moment. Reciprocally, the very project of quantizing gravity—far from being motivated by recognized experimental observations that would require a quantum theory of gravity for its explanation—is motivated by purely conceptual reasons. At least for the moment, research in quantum gravity can only be oriented by means of first principles—such as background independence—and theoretical constraints imposed by the requirement of mathematical and conceptual consistency—such as the renormalizability of the theory or the requisite of having general relativity as its classical limit—. It is also important to remark that both quantum mechanics and general relativity are the result of a fruitful interrelation between physics and philosophy. On the one hand, general relativity is a turning point in an old debate about the nature of space, time and motion which includes Descartes’ theory of relative motion, the Leibniz-Clarke correspondence, Kantian conception of space and time as a priori conditions of human sensibility and Mach’s criticism of Newtonian absolute space and time. On the other hand, quantum mechanics constitutes a groundbreaking landmark in the history of the scientific and philosophical attempts to define the formal determinations (or “categories”) of generic physical systems, like for instance the “categories” of substance (and identity over time), causality (and predictability), experimental observability, predication (and logic), objectivity of knowledge (and its relation to the notions of symmetry and invariance), etc. For these different reasons, the research programs in quantum gravity engage foundational questions in which physics and philosophy are necessarily entangled. Philosophie de la notion de schéma en géométrie algébrique (avec F. Cukierman). Fondements géométriques de la théorie de la gravitation d’Einstein-Cartan. – 2) Philosophie de la mécanique quantique. Construction d’une formulation cohomologique de la mécanique quantique (avec D. Bennequin). – 3) Philosophie de la notion de symétrie. Etude de la notion de symétrie à la lumière de la théorie de Galois-Grothendieck (avec J. Page). Etude de la notion de symétrie à la lumière de la cohomologie.